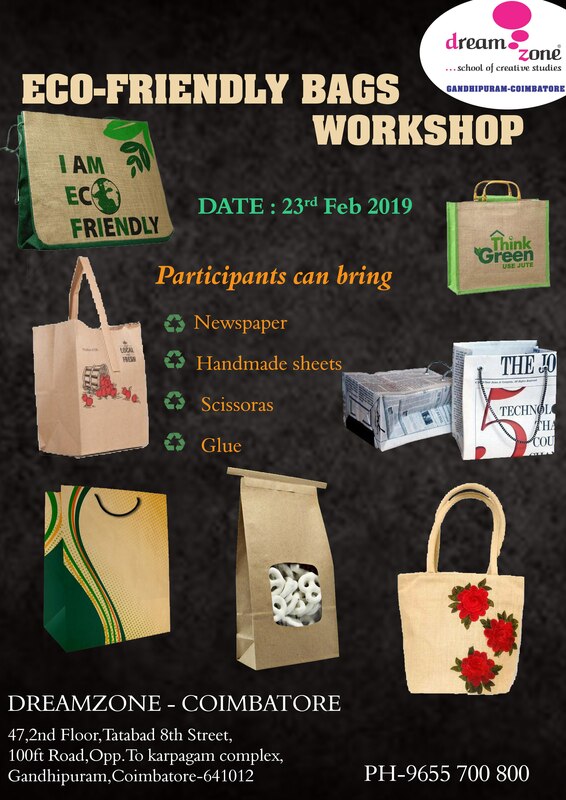 Dreamzone Gandhipuram Coimbatore conducting Eco-friendly bag workshop on 23rd Feb 2019. Those who are interested can call and register their participation and students are most welcome. For Further details contact the phone number on brochure.